You are not in the mood to cook for dinner/lunch? But you have to cook for the family? Looking for something easy to cook? Since I am young, I am Tempe and Tofu lover! I always remember when my mom cook tempe for me and slice the tempe very thin so when I eat it feel like cracker, but it is not tempe cracker. I often cook it when I started to live by my self in the college. And of course I would like to share my childhood favorite food with you. And this recipe is very easy! - Mix garlic, salt and coriander and stir well in a bowl of water. - Heat the pan, add cooking oil. 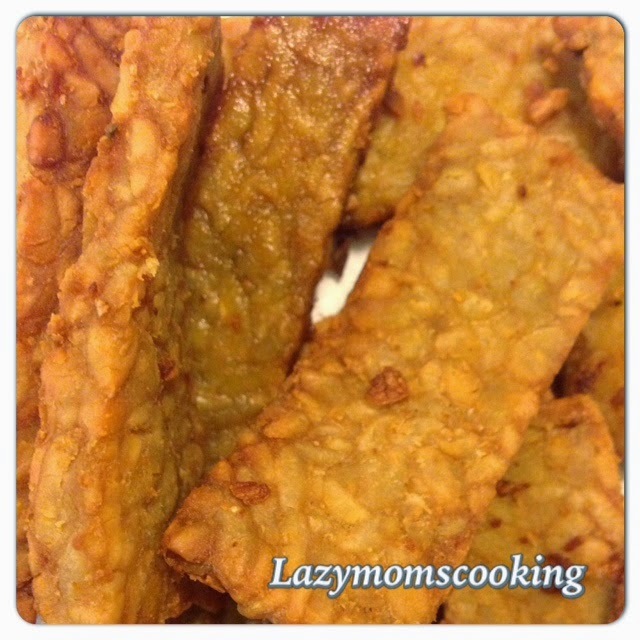 - Fried tempeh until it is cook and the color is golden. Eat it while it is warm! 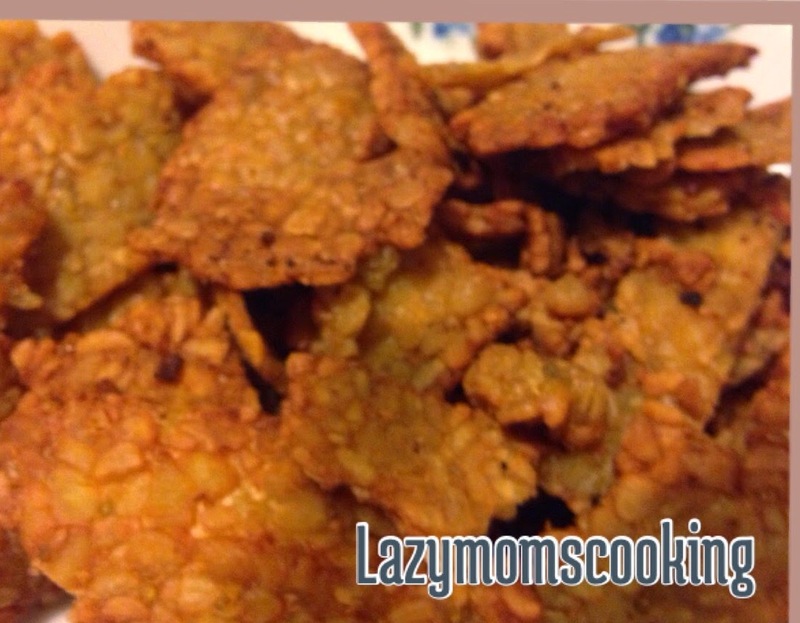 You can have it as a snack or side dish for your dinner or lunch! Enjoy it :) Hope you like it!